Located in the Eastern Cape region in South Africa, Grahamstown [Makhanda] is a very popular tourist destination in the country. With it’s rich history and vibrant culture, more and more tourists are visiting Grahamstown. I was so privileged to explore and get to see Grahamstown, the oldest city in South Africa and its original capital city. How to get to Grahamstown? 1. The last time we visited, we flew with British Airways from Johannesburg to Port Elizabeth. Then a family member picked us up from the airport. I guess you can also take cab from the airport. The travel time from the port city of Port Elizabeth is a 90 minute drive along a scenic coastal highway. 2. On a previous trip we took the longer route by car. 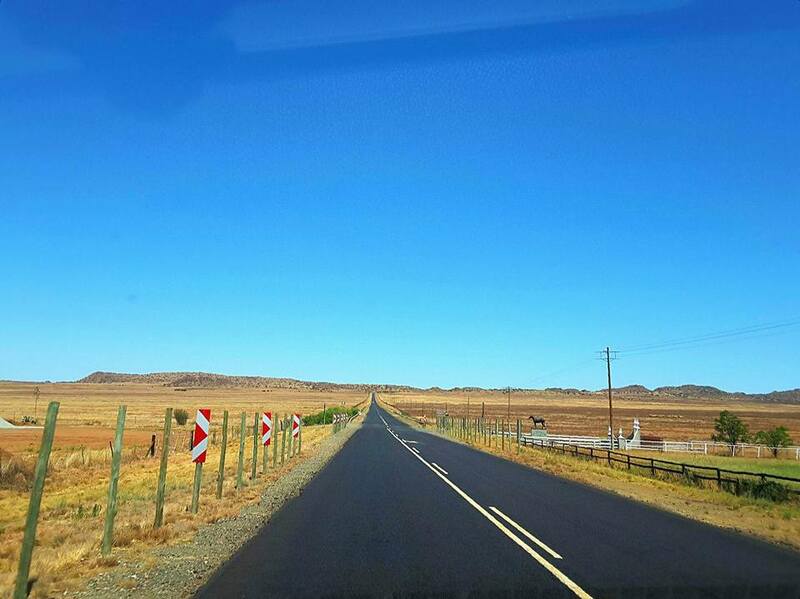 This took 12 hours from Johannesburg to Grahamstown. Though it was a long journey it too was very scenic and took you through the interior of this fascinating country. I prefer driving, especially when not in rush. We just used Google Drive to get around and it was pretty smooth. Now, what are the things that you can see when in Grahamstown? A lot! Though the city is small, the place itself really takes you back in time and makes you want to learn more about the history of the place. 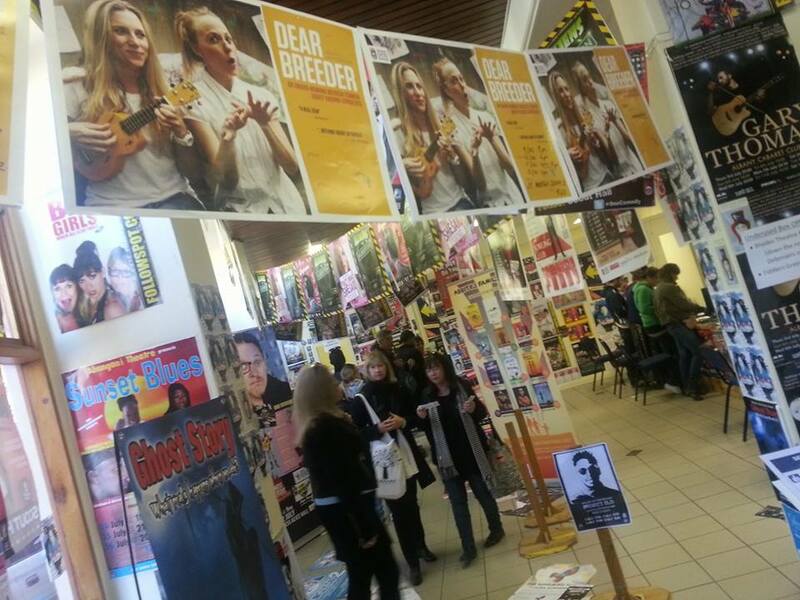 In addition, they have one of the best and oldest universities in South Africa. Rhodes University dominates the city and it reminded me of the famous university cities of the United Kingdom such as Cambridge and Oxford. 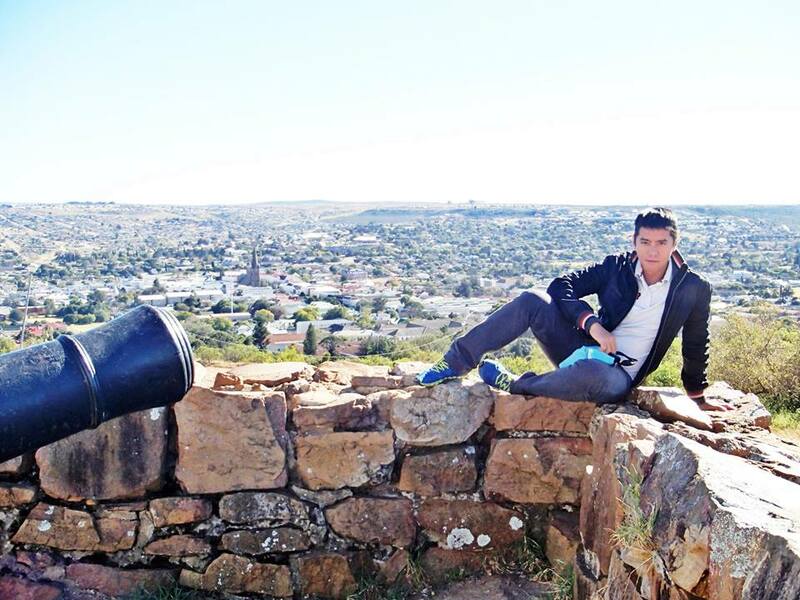 If there is one place to see the scenic landscape of Grahamstown, Fort Selwyn is a must see. Built in the 1800s, Fort Selwyn is one of the man forts built to defend the city made up of English settlers from the local tribes in the bad old days of colonisation. 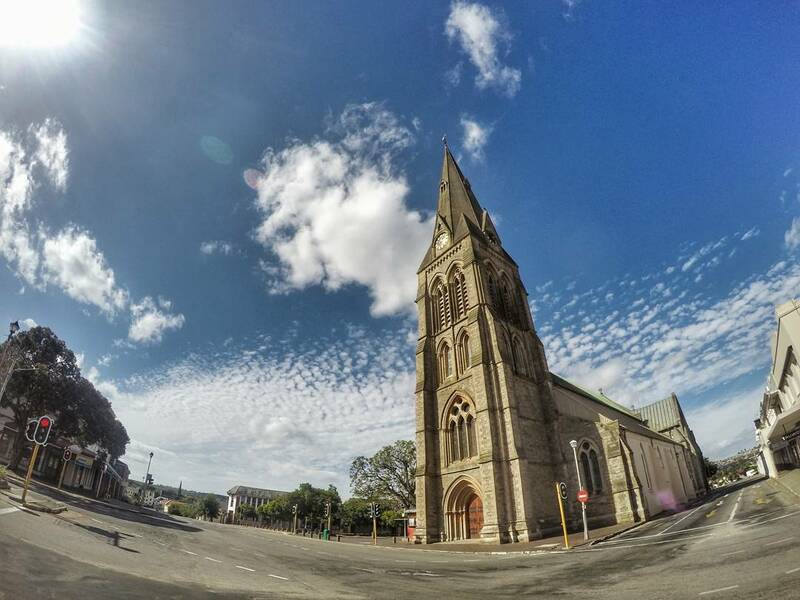 the Grahamstown skyline is dominated by the Cathedral of St. Michael and St. George. Right next to Fort Selwyn, you will find a big ship-inspired building on top of the hill, the 1820 Settler Monument can be seen from afar and as a living testament to commemorate the contributions made by the English-speaking settlers to South Africa. The monument also serves as a convention or conference center. In addition, it also serves as a theater specially during the National Arts Festival in South Africa. As mentioned before Grahamstown is also a famous university town because one of the top universities in South Africa is found here in Grahamstown. It’s a lovely area to take a walk and absorb the academic atmosphere. Buildings here date back to 1820s, the High Street is like the center of commerce in Grahamstown and one of the most beautiful streets you can see in South Africa. As you make your way down this charming street you will find these beautiful iconic buildings that dates back to the 1800s. Within these structures, you will also find shops and boutiques which is also the perfect place to for some shopping. The balcony of the Commemoration Methodist Church, with engravings from the many bored school pupils who sat in the galleries during services. Some of the pupils’ wood engravings date back to the 1800s and show that pupil vandalism is not a new feature of the youth! It is believed that the cathedral is situated on the spot where the founder of the city, Lieutenant-Colonel John Graham, first planned the layout whilst sitting under a tree. the wonderful wide streets of this old city are purposefully extra wide to accommodate the old ox-wagons that would have to turn in the streets. 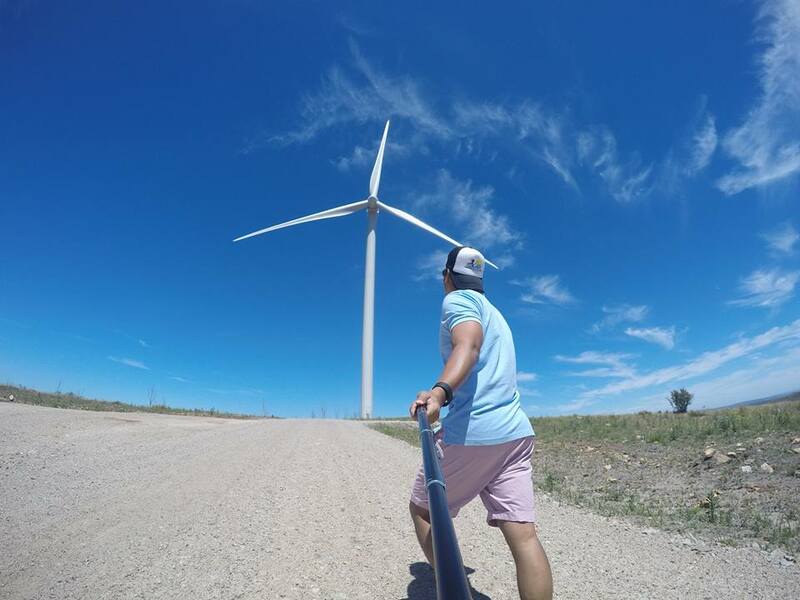 Everywhere in the world more and more towns are shifting to green energy, and a few kilometers away from the main town of Grahamstown, you can get a close up view of this wind farm. They may look small but once you are standing in front of them, they are ginormous! It’s amazing to see it up close. These historical original settler cottages have been preserved as they were when the city was established. Located right across from the Commemoration Methodist Church and the City Hall, you will find this eye-catching monument that is dedicated to the men of Albany who fought during the Anglo-Boer War. 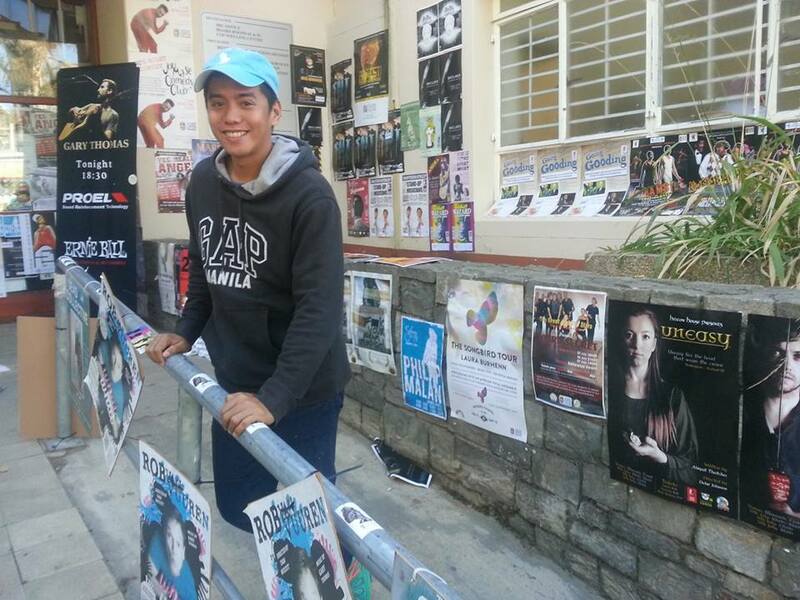 This festival held in June or July of every year attracts tourists from all over the globe to Grahamstown. The city comes alive with theatrical productions, street art, arts and crafts market, music and an eclectic mix of all that make up the world of art. Found inside Rhodes University, you will find another historical structure. During our visit, it was turned into a Provost Cafe which was actually a relaxing place to have coffee. Built in 1838, it was originally intended as a fort but became the town’s prison! An interesting structure indeed for the present day to see. These vast gardens, commonly known as Bots by the residents of Grahamstown, cover the area from behind the university,up the hill to Fort Selwyn and serves a collection of botanical samples from all over South Africa. A view of the city from the highest point in the gardens. 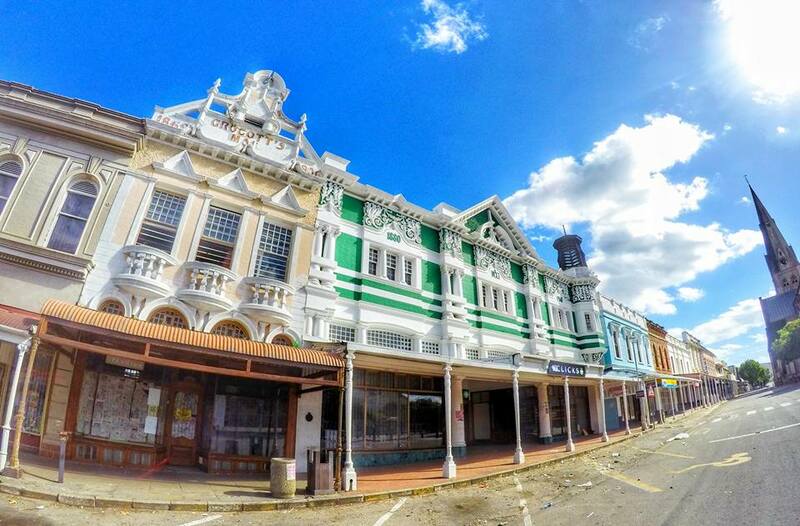 Grahamstown, as the oldest city of this fascinating country, certainly encapsulates all of the interesting and sometimes troubled history of South Africa. It’s heady mix of cultures offers the visitors a unique way in which to experience South Africa. If you want to touch the soul of South Africa, you must visit this city. seems a pretty boring place unless you want to major in South African studies or a South African yourself. wouldn't recommend to normal or even seasoned travelers. there are districts in Cape Town that bring you back in time as well. Why go far? Hello, It is the first capital of South Africa and the first settlement established by the British, it has historical and cultural significance. If, as a tourist, you are seeking to know more about a country's history and its people then you may need to explore further. If it's just superficial sightseeing that you are after then stick to the main tourist centres but don't expect to really get to know the people or the country.